I spotted this top at H&M a few days ago and instantly boyfriend jeans popped into my head. It was the only way I would purchase such a "fancy" top, I thought. I couldn't wait to put the look together. My best friend Kim was coming over for lunch today and I was taking her to a pretty lunch spot in town so I figured this outfit would be perfect. I can not get enough of this look! 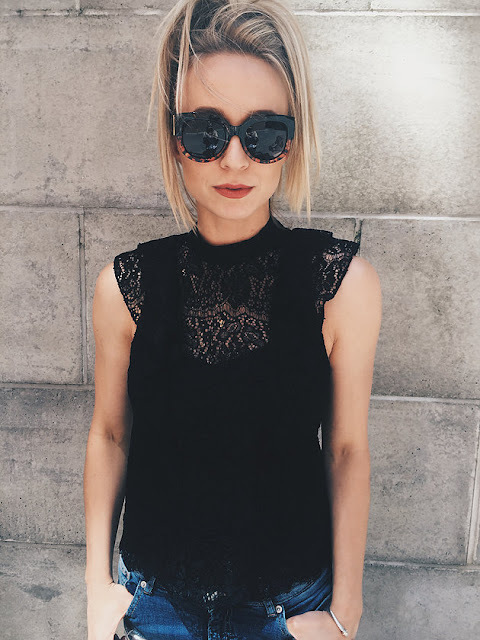 The lace is gorgeous on this top and the high necklace and ruffled detailing is perfectly done. I absolutely love to mix pretty with distressed so adding the relaxed boyfriend jean made this look really come together. I through on my lace up black leather sandals from Gap. 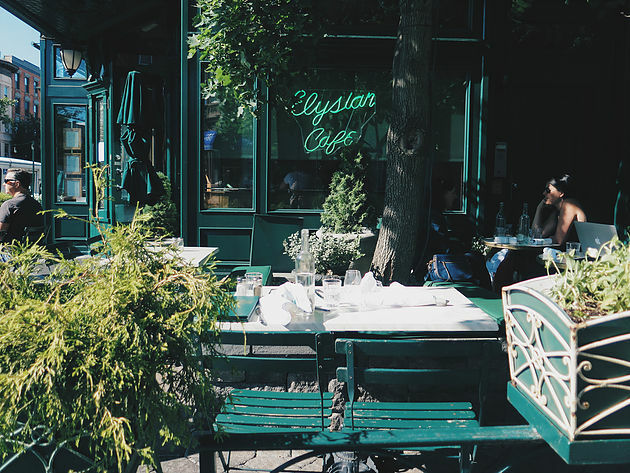 It was such a nice afternoon - We sipped rosé while chatting over delicious food at one of the prettiest restaurant in Hoboken, Elysian Cafe.